Metered parking along 4th Ave. Plus Public Parking in the back alley. Two doors from bus stop that serves lines # 4, 7 and 84. Weddings, Birthday Parties, Business Events. Welcome to BiBo, the TRUE Italian Experience! BiBo is not just a restaurant; it is a philosophy of life, an obsession for quality that is translated through every prepared Italian dish, which is created with the highest quality ingredients from all different regions in Italy. The owner drives with dedication to provide the most authentic Italian experience, translated into a menu that truly brings a taste of Italy to your table with antipasti created with fresh imported ingredients, handmade pastas prepared daily, and the most traditional Neapolitan style pizzas cooked in our wood burning oven. 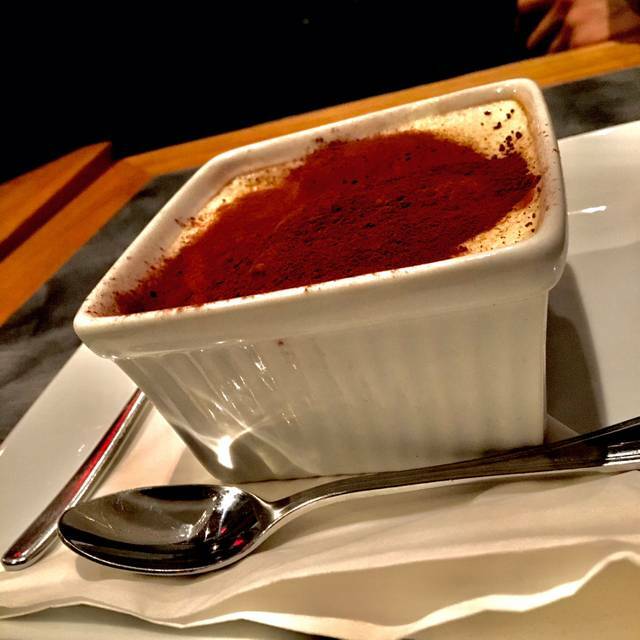 To top it all off, The Bibo offers freshly made Italian desserts and a carefully chosen wine list. Buon Appetito! Excellent food - can taste the freshness especially the mozzarella. Really nice service without attitude or pushiness. I always love going to Bibo! The food is amazing! Molto gentili e cibo molto buono. Classic Italian fare, wood burning pizza oven good selection of wines and other drinks. We booked through open table, no problem getting a reservation, and the table was ready and waiting for us when we arrived! We have been going for about 7 years.. I’ve tried many others.. and Bibo is still my fav pizza place! Outstanding food and service! We are definitely coming back soon!! I came for a date with the wife. The menu and pics online were nothing like what we ate or saw. Menus sounds so good and then the food disappointed. I’m a chef. I give an extra understanding. This was poor execution. For being some kind of Italian renaissance or Classico it was miss firing in all cylinders. Service was ok. Meh. Cleaning sprays and dirty rags were in front of me to see and smell. Pasta was so terrible. Come on guys. You can surely make a better Ragu than that! There are times when I would recommend this place. But I find the quality of the food inconsistent. Not sure why I keep going back. When it's good, it's 5 star. This time the margarita pizza was overdone with the basil baked; I like it fresh. Got the feeling I was getting a pizza that was reheated. The eggplant dish had way too much cheese and not much eggplant. And the arugula/pear salad was not like it can be. Disappointed. One of our favourite spots in Kits. Great pizza, servers are attentive! Great pizza but apps disappointing. Service was good but ambience was lacking. Would return for pizza and wine! Food was very good. Good service. Nice ambiance. My only issue is with the portion size. I ordered ravioli and the portion was only about 1.5 cups. I left hungry and felt it was a very poor value. It's not that all of the pastas are not main sized as my wife's carbonara was a more normal portion. The restaurant was recommended to us for its pizza and we tried three of them. The pizza were not bad but we didn't walk out raving about them. We have had better pizza in the same price range. The waiter we had was great- polite, professional, and very pleasant. The tables are tight together and we felt crammed but we expect that in most restaurants because of the crazy rents in Vancouver West side. One of my favourite pizzerias in Vancouver! Had the Caprese salad, always so fresh and delicious. 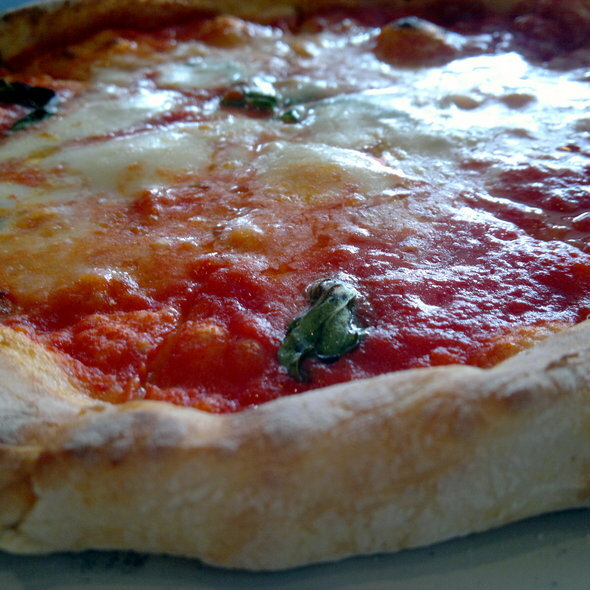 Had the Margarita pizza, delicious. Cacio e Pepe to die for. Tsamasui creamy and smooth. A bottle of Chianti and ending the night with a fabulous espresso. Everything was perfect. Great pizza and excellent service. Lackluster at best. The ambiance was noisy and chaotic. Had more than enough staff to cover but the service was terrible. Took forever before someone came to the table. Screwed up the timing of the order so no one had he food at the same time. Every request we made for drinks or sides was totally forgotten. Asked for my leftovers to be packaged but they threw them out. When we commented to the waitress she complained that the customers were asking too many questions and takin g to much tome for proper service. The whole experience seems like the first time they ever ran a restaurant. I won’t be going back. Way better choices before you need to go here. NOT recommended. I had the risotto and my husband a pizza. Risotto was cooked to perfection and pizza dough was very good. What was lacking in Bibo is the service. The noise level is pretty high but the server was talking pretty low and I had to ask him to repeat many times or try to guess his words. We were given a plate of bread when we arrived, which is nice, but the medium plate came with 4 tiny slices of bread which looked a bit stingy. I would suggest serving the bread in smaller container so it doesn't look lost. I would also suggest to serve pizza dough as bread instead as it is delicious. Portions each time get smaller. Price and portion should be correlated and they are not. Taste is good, but not satisfied. I've been going to bibo since 3 years ago and I was very dissapointed this time. Felt like an insult for the amount of money I was paying, I just expected the portions as they have always been. Excellent food. Not sure why it's not that busy at lunch. They've changed their Eggplant parmigiana. It looks more of a Caprese but with thinly sliced eggplant. So disappointing. Serving sizes were way too small for the price. The service was horrible. We cycled between 2-3 waiters, no consistency. We weren't offered to taste the wine before it was poured. Had to ask for pepper and the waiter just left the grinder on the table, didn't offer to grind it for us. We asked for the bill 2x before it came. The first time we asked, we had to wait 15 mins before we asked again. Just get it together. Next time Trattoria seems like the way to go. We ordered 2 appetisers, 2 pizzas and 1 entree. The food was tasty, but not as memorable as other Italian restaurants I have visited in Vancouver. The appetisers and mains were slightly overpriced for the portion size and taste. The staff were friendly and attentive. I would likely not choose to return, not because I had a bad experience, but just because I have found the food tastier elsewhere. about his mistake he didnt even care. complete waste of money i wouldnt reccomend this place to anyone unless they enjoy wasting their money. Arrived with five of us for a quick dinner before heading off to Bard on the Beach. Good choice of some interesting pizzas, also other Italian favourites. Everyone enjoyed their meal. Good, and not too expensive, wine list. We arrived a little early for our reservation, we were seated right away. The menus on the tables had food all them, took our server more than 15 mins to come take our drink order. When the server arrived all he said was “are you ready to order food” we asked to start with a drink, I had questions about some of the wines, the server had NO wine knowledge. We asked about the bruschetta and if it came with olives, the server assured us it did not. Once the food arrived we noticed 2 of the 8 peices had olive tapade. The server never came back to check on the food so there was no chance to let him know our disappointment. I had high hopes for this place as it came highly recommend by one of the chefs I work with. 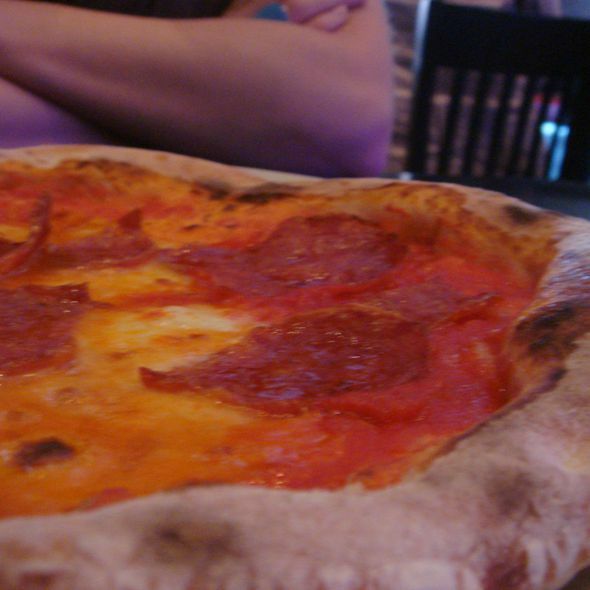 Whilst the pizza is good, the restaurant is very poor value for money and service very slow. Overall a very disappointing experience. The food is way over priced for what you get. Plus they are super cheap with the bread! Two pieces is like one cut in half. Service was not great. I won’t ever go back. 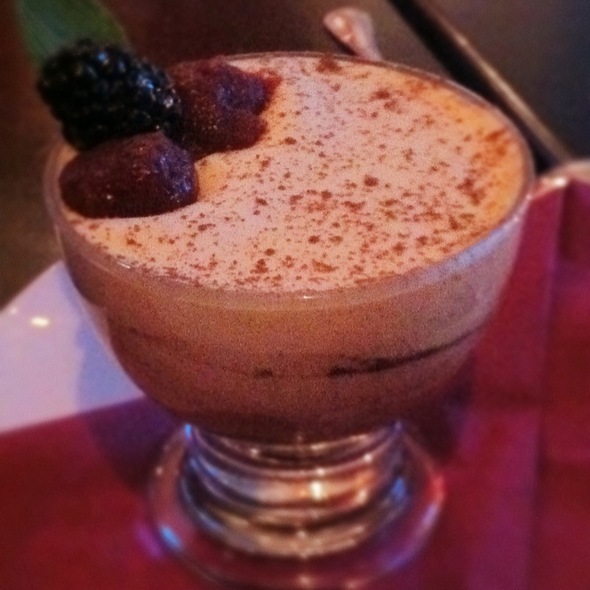 We have been frequenting The Bibo several times over the past five years or more. What a great find and asset to Vancouver. The food is always of high quality, and the staff are generally friendly, and on this occasion we had a friendly and smart server. The restaurant is run by an Italian family who take great care to ensure their menu and ingredients reflect the true Italian quality, taste and freshness. At the same time the atmosphere is casual, tasteful and friendly. 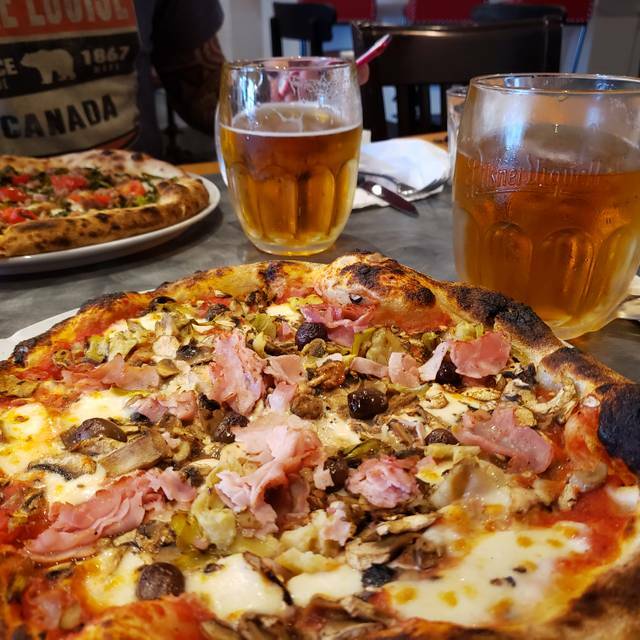 The place has one of the best pizza in town: traditional Italian ingredients, delicious dough, perfect cooking. The atmosphere is friendly and cosy and the service impeccable. I will definitely be back and I will recommend it to all my colleagues and friends who wants a real Italian pizza. Loved the variety of homemade pasta dishes and the wine selection. 1/2 off our bottle! Live music on Monday's. Pizza and appetisers were great. Overall very good. My steak excellent and good value. Need a few BC and UsA wines. I wish I lived in the neighborhood so I could have great pizzas every day. Thats how I like this place so much. Best Italian pizza ever. 2nd time here and never let me down. The dough here is the best. So smooth, not too fluffy, not too chewy, just perfect! Also, cant beat the parma prosciutto here (Crudo is my fav). Service was quick and friendly too. Our server taught us some Italian words ;) Ambience is something that can be improved. I loved the wall arts and bnw movies playing on TV, but the music is a little bit too loud. We had to talk kind of loudly to each other. But, overall very good experience. Keep it up!